Sheila, how do I make this easier to do? How do you teach your kids to be kind? What are your tips, your secrets? Well, there are no secrets. But, there are great tips and strategies. Within the Kindness Tool Box, with one purchase, you can access current and future Kindness Tools used by families to raise kind kids. That is the *stuff* I use, the *stuff* we use with families to help make this goal of raising kind kids . . . easier . . . and attainable. Tools range from object lessons, game ideas, experiments to see kindness in action, and prompts to get kids talking about ways to be kind. Pennies of Time provides tools and resources to families that intentionally want to raise kind kids. Much of our expertise can be found on the website and through guided mentoring found in the E-courses at the Kindness Academy. We've made modifications to those tools so that families can access the quality tools previously only offered through E-courses. That is why you will have exclusive access to all Kindness Tools that can be used without the support of a course. Best Buy: Buy now and you have access to current resources and future tools added to the toolbox. As more tools are added, the price increases. Buy now and have access forever! 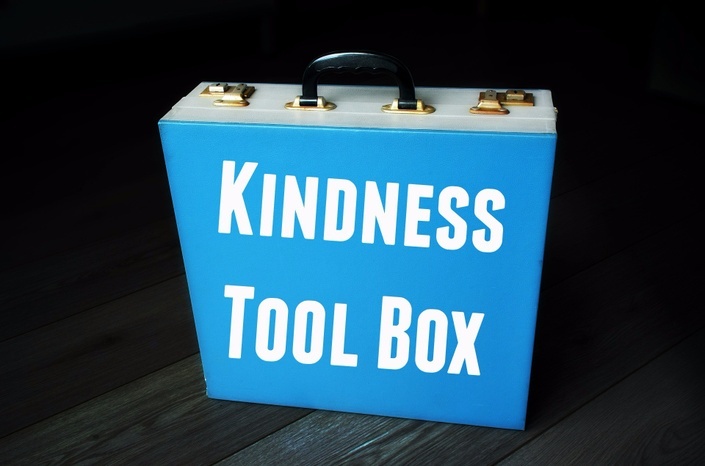 For one price, you have a lifetime access to all documents that will be housed within this Kindness Tool Box. Power of Kindness: 3 Kindness Experiments to jump start learning about the effects of kindness with your kids. All Printables, Games, Trackers, Resources Sheets that are added in the Future (without paying more)! How long do I have access to the Kindness Tool Box? Busy right? How does "as long as you need" sound? After purchasing the Kindness Tool Box, you have unlimited access - across any and all devices you own. Let's get the Kindness Action going! What if I am unhappy with the Kindness Tool Box? 100% Kindness Happiness Guaranteed! Message from Sheila: "I want each of our families to feel confident that they are receiving valuable, quality, and timely strategies and information to raise kind kids. Please contact me if you have any questions or concerns." Our goal is to make sure you are happy with the Kindness Tool Box. If you are unsatisfied with your purchase, contact Sheila in the first 30 days after your purchase and she will give you a full refund. Can't I just get this off of the Pennies of Time website? No, although there are thousands of ideas and resources on the Pennies of Time website (www.penniesoftime.com), the Kindness Tools purchased here are *only* available through taking an E-course with the Kindness Academy from Pennies of Time, exclusively developed for students in our courses. That is why the Kindness Tool Box is a great resource for your family. Tried and tested tools for you to use without purchasing with an E-course. Are there tools and resources in the E-courses that I can't get here? The purchase of this Kindness Tool Box does not give you access to ALL the high level content developed specifically for an e-course provided in the Kindness Academy. Many of the tools used by Kindness Academy instructors are expertly designed to help facilitate learning in a specific course to help students reach their family goals. At the same time, many Kindness Tools shared and taught in those courses do make sense as a stand alone resource and are used successfully by families, no matter what course they take. Thus, the reason we are opening up our exclusive materials to you through the Kindness Tool Box.